Kleen-Pak has quality accreditations to ISO 9001:2015 certified by SGS International for our Quality Management System. 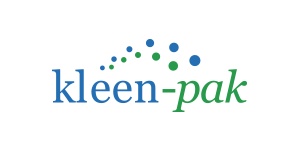 All products at Kleen-Pak are manufactured under strict compliance to the guidelines of cosmetic GMP certified by the Health Sciences Authority from the Ministry of Health. We conduct regular quality and safety meetings with all stakeholders to ensure continuous improvement in quality & operational excellence at all levels, including regular audits on suppliers and at the same time audits conducted by our customers. Our advanced 6-stage water purification system comprising of USA-made dual membrane (micro-filtration and reverse osmosis) and ultraviolet technologies ensures all water used in our products attained the highest purity before being blended into our prescribed formulation. Samples of purified water and compounded liquid are collected routinely for in-house and external microbiological testing to ensure their highest quality. 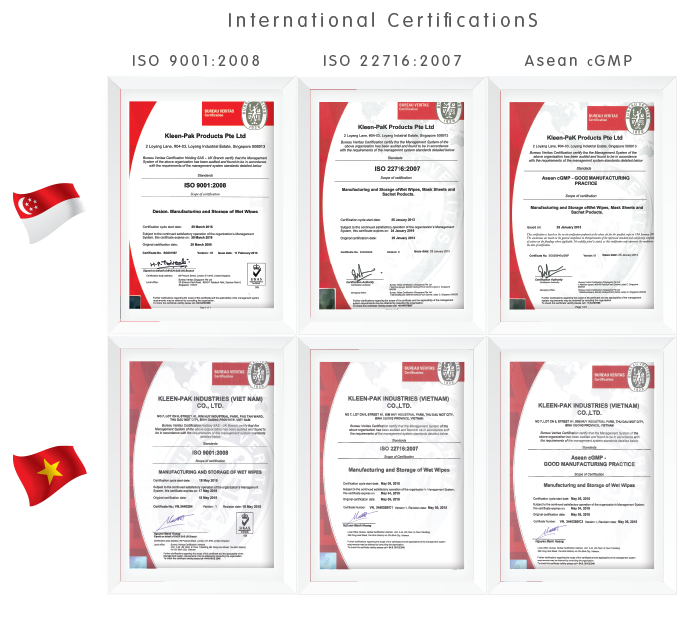 Maintain ISO 9001 certification for all our facilities. 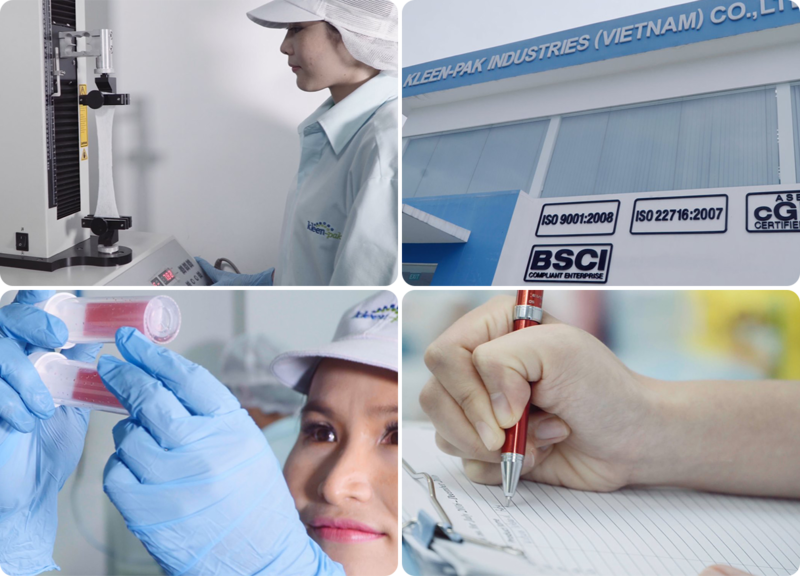 Stringent quality control at all levels of manufacturing processes from starting materials, liquid manufacturing, intermediate products to finished goods are carried out religiously by our highly-skilled production and quality specialist. An environmental monitoring programme at key production areas ensure that our wet wipes are always manufactured consistently under safe and hygienic conditions. Metal detection devices are installed at high-speed fully automatic wet wipes lines to prevent any metal contamination. Our wet wipe products undergo rigorous quality control testing and inspection before leaving our facility. We conduct internal audits of processes and have our external auditors to audit our facilities as well. We work with various organisation on projects where we are developing specialty wet wipes with unique substrates, formulation and inspections on your products in order to carry the various claims.